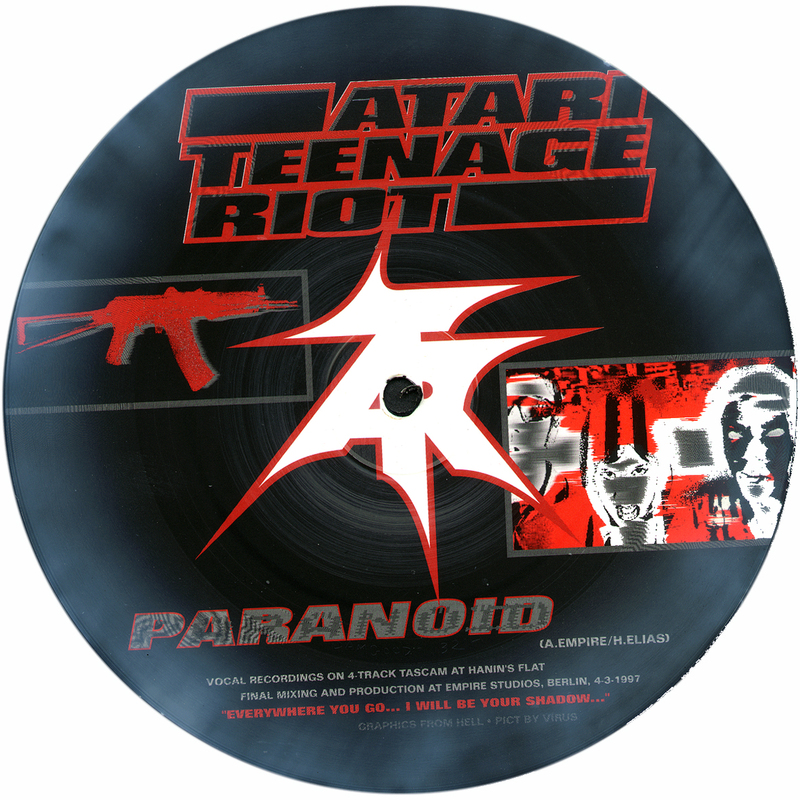 We released a split single with their original version of Free Satpal Ram as a double ‘A’ sideed picture disc 7” with Atari Teenage Riot. ADF are 21st century MIDI warriors. Their distinctive sound is a combination of hard ragga-jungle rhythms, indo-dub basslines, searing sitar- inspired guitars and ‘traditional’ sounds gleaned from their parents’ record collections, shot through with fast-chat conscious lyrics. 1998’s album Rafi’s Revenge on London Records met with much critical acclaim and received a Mercury Prize nomination. By that time already considered one of Britain’s most exciting live bands, this album helped to introduce them to a wider audience. They started off in 1993 at London based organisation Community Music where bassist Dr Das taught music technology. He teamed up with one of his students, rapper Deeder Zaman and civil rights worker DJ Pandit G to form a sound system to play at anti-racist gigs. The following year they recruited guitarist Chandrasonic and started moving further afield. With Sun-J joining in 1995 on live technology and ‘radical movements,’ the line up was complete. Their debut album Facts and Fictions (Nation Records) came out in 1995 and was largely overlooked by a country obsessed with retro guitar pop. And at that time, to be ‘Asian’ was yet to be considered ‘cool.’ On the continent however, ADF were given ample opportunity to tour and develop their performance skills. Their musical and lyrical package was met with considerable enthusiasm, especially in France where their second album R.A.F.I. was released by Virgin France in 1997. The following year’s Rafi’s Revenge was in fact a re-recorded, recharged version of R.A.F.I, energised through extensive live playing. It was Primal Scream who finally brought ADF to the attention of the British media. ADF toured the UK with them in the summer of 1997 having by now signed to London. The Primals also collaborated with ADF on the single Free Satpal Ram, which has done much to draw attention to the situation of an Asian man whom they both believe is yet another recipient of British rough justice. ADF spent most of 1998 touring, consolidating their reputation for uplifting live sets and for attracting culturally mixed audiences. In Britain, Primal Scream’s championing of ADF was soon vindicated. Journalists were taken aback by their energy and made inadequate comparisons to well known previous punk bands. Little did they realise, that aside from having played in front of mad French audiences, it was their own ignoring of the band that had madeADF focus in such a way. ADF performed at many major festivals in the UK and the rest of Europe as well as at Fuji Rock in Japan. A Beastie Boys support tour in the autumn introduced them to the US where they received a warm welcome, much to their own surprise. ADF’s forceful presence has helped to demolish many stereotypes of Asian musicians and by extension, Asian people. An acknowledgement of this came in the form of the BBC Asian Award for Music in December 1998. Their higher profile enabled ADF to attract funding from the London Arts Board to establish ADF Education (ADFED) to promote and practice the teaching of music and technology to young people. ADFED now functions as an independent organisation running various workshops in London. With extensive European touring and a trip to Australia and New Zealand and their first tour of Japan, ADF consolidated their reputation for being one of hardest working live bands. Their last tour of France saw them working for the first time with an extended line-up featuring drummer Rocky Singh whom they first encountered in Toronto, MCs Aktarvata & Spex from the Invasian, which emerged out of ADFED, and dhol player Pritpal Rajput. These musicians are now a permanent live fixture. 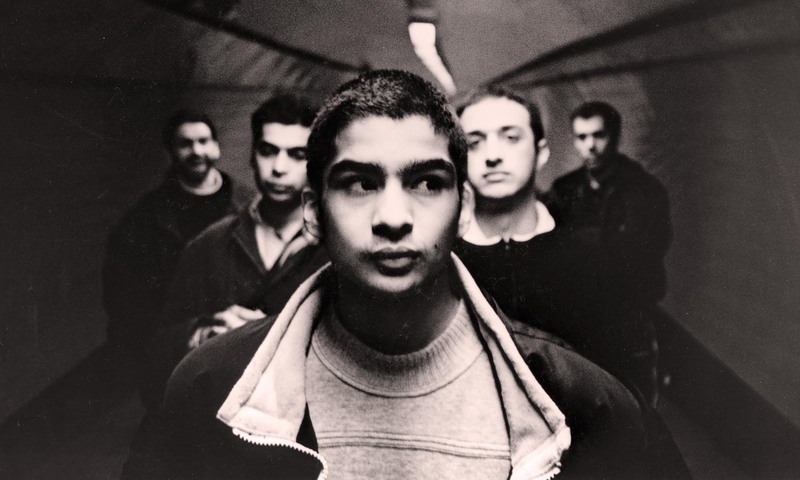 In March 2001 the band composed and performed a live soundtrack for the film La Haine as part of the Only Connect season at the Barbican. The event met with critical acclaim and enabled the band to showcase their instrumental skills, so often overshadowed by the so-called ‘political’ aspects of their work. Their visit in April to Brazil 2001, organised by the British Council, involved them and members of ADFED engaging in music workshops with young people and doing sound systems as well as the actual gigs. The passion and resourcefulness of the musicians they met had an enormous impact on the members of the band. Aside from touring most of 2001 was set aside for composing and recording material for the new album to be released in 2002. Long time inspiration Adrian Sherwood was enlisted to mix the album. ADF rounded off the year with a their first extensive tour of Eastern Europe. They were shocked by the level of support and enthusiasm showed by the fans there. In Yugoslavia they played to 8,000 people; their largest club date ever and in Bulgaria to 3,500. All in all like Brazil the band came away from the tour very uplifted and inspired. Many thanks to all the people who turned up. 2002 sees ADF completing the album with hopefully a autumn release on a new label! As usual an extensive touring schedule is planned kicking off with Cuba in March.